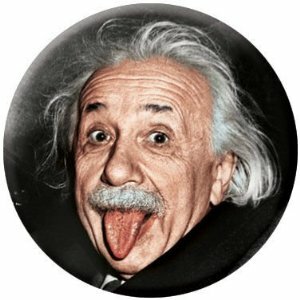 Your Life Purpose: Acknowledging Your Genius! Everyone’s mission, be it yours or mine, has a purpose behind it. Your mission is very likely to be different than my mission; however, the life purpose behind everyone’s mission is essentially the same. And that life purpose, which is internal, spiritual and universal in nature, is to acknowledge the genius that lives within all of us. Another interesting form of the Latin root is the word ‘genie’ (of the ‘I’ll grant you three wishes master.’ variety). For some reason Barbara Eden coming out of her bottle just popped into my head! This all leads me to ask this one question: ‘Were the Ancient Romans on to something when they believed in a spirit guide whose function was to assist each of us to fulfill our life purpose through productivity and creativity?’ I believe they understood at some level, that within each of us, lives a life force capable of assisting you and me to accomplish far more than we could ever imagine! In our world today, we use the word ‘genius’ quite differently than the Ancient Romans. Genius is a label we attach to certain people. Like all labels, we use them to differentiate between what makes one person superior or inferior to another. Genius on one end of the spectrum. Idiot on the other. Typically, we think of a genius as ‘above the crowd.’ Someone who has made a great discovery like Edison and the light bulb or Einstein and his Theory of Relativity. Or an artistic genius like Michaelangelo and his Sistine Chapel or David. Or a Mozart, who began composing music at the age of three. Are they really special or superior to you and me? Or was it that they each were completely tuned in to and turned on by the spiritual guardian ‘genius’ that lived within them? Yes, I know that some people just seem to naturally have talents that appear to be above and beyond what you and I may consider average. However, could the only difference be that Edison, Einstein, Michaelangelo and Mozart simply gave their ‘genius’ the green light to use them as a vessel so their personal missions and destinies could be fulfilled? No matter how you see yourself right now as you read this article, know this: you have gifts and talents! Perhaps you may or may not be consciously aware of them. You may even deny and turn your back on them as I have done on many occasions. You may also believe that your talents can serve no real life purpose. Genius resides in all of us. The Ancient Romans knew their stuff (although I am not too keen on what went on in the Coliseum)! The only real difference between someone we call a genius and everyone else is that a genius is someone who has the courage to give him or herself permission to let him or herself shine. To let yourself shine involves a certain degree of risk. Scary? Perhaps. The payoff, however, can be extremely rewarding. No matter where you are now in your life’s journey is irrelevant. Time is always on your side. Use it wisely! For all of us the result of our life purpose is to be in some way of service to others. How it looks on the outside is unimportant. Whether it is collecting trash or doing research for curing disease, the result is always to be of assistance in some way to mankind. How your life purpose appears in the physical world can and likely will change many times in your lifetime. What you are doing now, does not have to be forever; especially if you decide that it is time for a change. Consider giving yourself permission to create a connection with your inner genius! It is with you for your entire lifetime and like the genie in the lamp, it will respond to your requests. If you truly desire positive change then begin to acknowledge your genius. It is your life purpose! In this moment, the form it will take in the physical world may very well be a mystery. Be okay with this fact. This is where faith, trust, courage and love play key roles. On a personal note: Chris and I tap in to our genius by providing a service that assists anyone who is sick and tired of being ‘sick and tired’ and genuinely wants to find solutions to their problems. Yes, Chris and I call ourselves Life and Relationship Coaches; however, the truth is we assist people to first discover their life purpose by acknowledging their genius. Then, together, we begin to dismantle the blocks that have been keeping the genius from coming out to play. Once these block are removed, the genius in you can guide you to complete your mission and fulfill your destiny. Each genius is quite impressive and extraordinary in nature. Each is unique in how it expresses itself through each of us. My dream for you is that you simply decide to be courageous and give yourself permission to acknowledge your genius! This is your life purpose. You can no longer say, ‘I don’t know my life purpose!’ The mystery is over! The secret is out! Be open to turning your life over to the genius that is you! God Bless!